The Packers today decided it was time to say good-bye to wide out Koren Robinson, cutting the 28-year-old veteran wide out who has had numerous off the field issues in his career. Robinson worked his way back into the league after a year suspension for alcohol-related problems, and responded with 21 catches for 241 yards and one touchdown. He also had 25 kickoff returns for 596 yards. Robinson was signed by the Pack back in 2006, but had to wait out the one-year suspension to get back on the field. 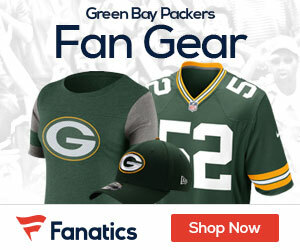 The Packers were impressed by his work ethic as well as his determination to make it back, but in the end, it was not enough for him to keep a roster spot. He was also suspended for substance abuse back in 2004 and served jail time in 2005 for a chase in Minnesota with police while driving with alcohol in his system. It was that incident that led to his release from the Vikings. He also played four years with the Seattle Seahawks.